WAC Lighting Straight Edge® LED Strip light delivers 205-Lumens of light output at just 4.8-Watts. It has a color temperature of 2700K and CRI of 85 for superior color rendering. The bulb lasts up to 70000 hours. The strip light features extruded aluminum with spread diffuser lens for smooth and comfortable light pattern. It offers multiple mounting options to suit any surface and is supplied with two flat mounting clips, two 45-degree angle mounting clips and one I connector. It is perfect for small coves and niches, cabinets, shelves and bookcases. 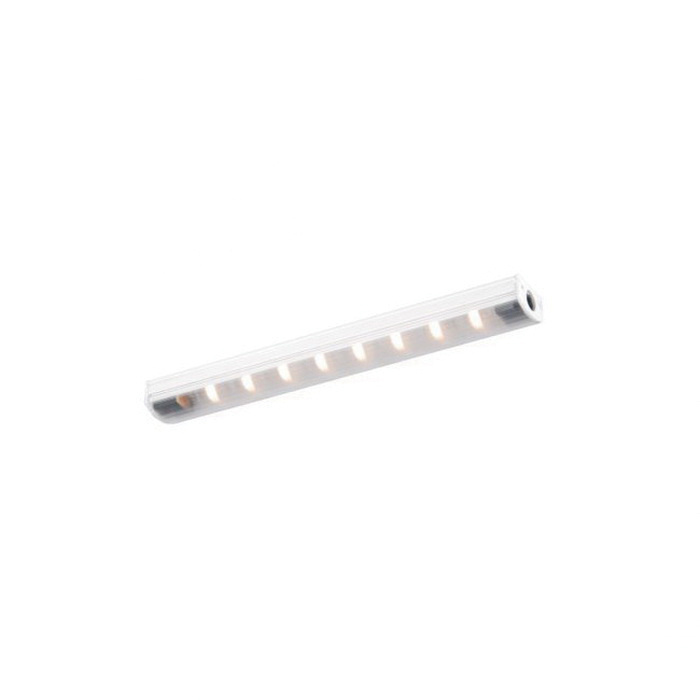 LED strip light is UL and cUL listed for use in damp locations.